Six Victorian police officers caught on CCTV camera assaulting a disabled pensioner and dousing him with capsicum spray may be suspended while the incident is being investigated. The video footage, which aired on ABC’s 7.30 report, shows six officers dragging disability pensioner John down his front stairs and to the ground in his front yard, beating him with a baton, stomping on his head, and dousing him with capsicum spray before turning a garden hose on him. The footage was captured by John’s home CCTV system, which he installed several years ago to deter burglars. It is now being used to support his allegation that police assaulted him without provocation. Police were called to John’s home by his carers who were concerned about his deteriorating mental health. Police say their dispatch notes warn that John may confront them and provoke them into shooting him. When John refused to open the door to officers, repeatedly asking them to leave him alone, police threatened to break it down. Police claim that when he did open the door, John came at them with two raised fists. However, the video appears to show John fending off an officer who was approaching him with a canister of capsicum spray. Moments later, after being dragged down the steps by several officers, John is seen being pinned to the ground. 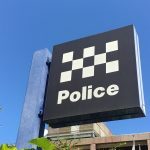 One of the officers subjects him to capsicum spray centimetres from his face, then uses a garden hose upon him, adjusting it to high pressure and spraying it directly into his face. “It was like a game to them”, John later reports. “I couldn’t breathe… I thought I was going to die”. It is important to note John was never charged with an offence. 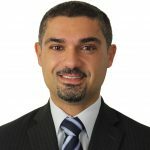 With little faith that the police will conduct a thorough and fair investigation, John made a complaint to IBAC and also launched civil action against police. 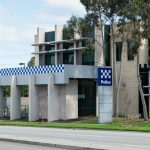 Victoria’s police complaints system came under fire recently, after IBAC released data suggesting that fewer than 10 per cent of complaints to regional police stations are upheld. When the allegations involved police brutality, the figure dropped to just 4 per cent. IBAC has also criticised the way police handle internal investigations of serious incidents — accusing the force of ignoring relevant evidence and giving excessive weight to police testimony when the evidence of independent witnesses conflicts with the police version of events. 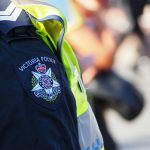 In the year to July 2017, more than 80 Victorian police employees faced criminal charges, and reports of serious misconduct spanned a wide range of serious offences including assault offences and predatory sexual conduct. 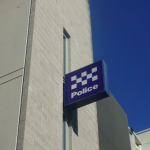 Two police officers were charged with assault and stood down from operational duties last year after they allegedly stripped, kicked and stomped on a fellow officer who was off-duty and drunk in Ballarat. IBAC is also overseeing an investigation into a police shooting at Inflation nightclub on Melbourne’s King Street, which left two people injured. The Police Association has tried to calm community outrage over the most recent incident by saying there are always two sides to every story. 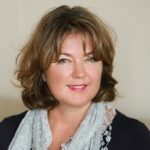 “The right and proper approach is to have a thorough, proper, investigation where everybody’s given the opportunity to put their case forward then recommendations can be made on the basis of all of that evidence,” a spokesperson said.